Visited places: MADONNA DELLA NEVE Chapel (1240 m) – PUNTA BANDIERA Summit of LIMBARA Mountain (1320 m), SASSARI. 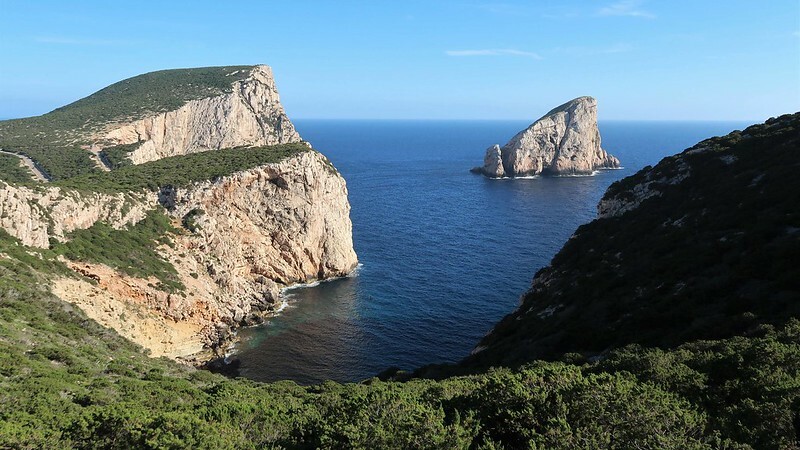 Visited places: SASSARI, NEPTUNE’S GROTTO (or Grotta di Nettuno) Cave, CAPO CACCIA Cliffs Trail (Parking place on auxiliary road close to CALA DRAGUNARA Beach (40 m) – PEGNA Tower (or Torre della Pegna) (271 m)), ALGHERO. Visited places: ALGHERO, Nuraghe SANTA BARBARA di MACOMER Megalithic Tower-fortress, CALA GONONE Beach. Visited places: BAY OF OROSEI AND GENNARGENTU National Park, S´ARENA Mountain Hut (1510 m) – ARCU ARTILAI Pass (1660 m) – BRUNCU SPINA Summit of GENNARGENTU Mountain (1828 m) – ARCU GENNARGENTU Pass (1659 m) – PUNTA LA MARMORA (or Perdas Carpias) Summit of GENNARGENTU Mountain (1834 m) highest point of SARDINIA – FUNTANA IS BIDILEDDOS Fountain (1660 m) – ARCU ARTILAI Pass (1660 m) – S´ARENA Mountain Hut (1510 m), NUORO (or Nugoro).